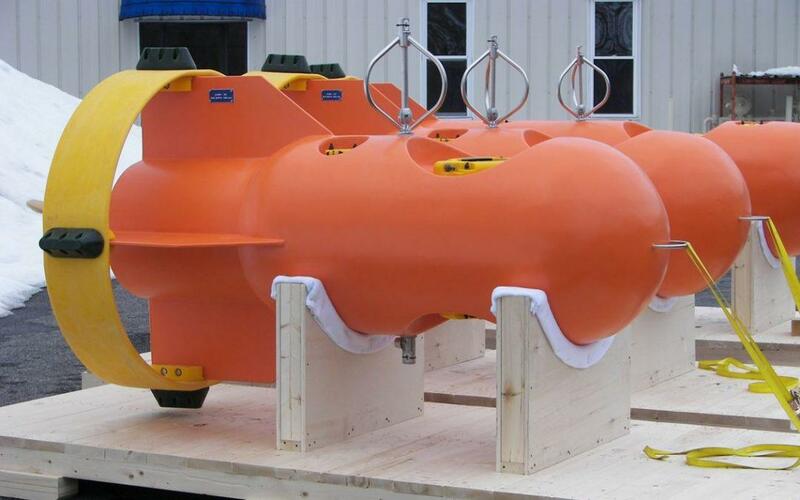 DeepWater Buoyancy, Inc. has shipped five of our unique StableMoor ADCP buoys to Canada in record time. Each of these units is designed to contain Teledyne RDI ADCPs as well as a Sable 5000 Satellite Mooring Beacons. Bedford Institute selected the StableMoor design due to particularly high current velocities anticipated at the deployment site. The subsurface buoys are manufactured from solid syntactic foam with integrally molded GRP tail fins and type 316L stainless steel handling and mooring hardware.